Sigma Alpha Epsilon - ΣΑΕ Fraternity at University of Virginia - UVA 2.0 uninterested Jan 8, 2019 10:53:43 AM the kid of frat where someone will unironically talk about the south rising again. too racist to step foot in if you aren't 50 shades of white. the kid of frat where someone will unironically talk about the south rising again. too racist to step foot in if you aren't 50 shades of white. Sigma Alpha Epsilon - ΣΑΕ Fraternity at University of Virginia - UVA 4.9 DaisyGirl Feb 22, 2018 6:28:46 PM Sorority girl here. This is one of my favorite frats for parties. Nice and smart guys. You can actually have a meaningful conversation while having fun. Easy going, fun guys. Sorority girl here. This is one of my favorite frats for parties. Nice and smart guys. You can actually have a meaningful conversation while having fun. Easy going, fun guys. 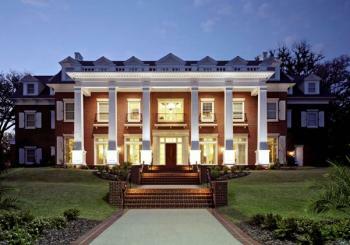 Sigma Alpha Epsilon - ΣΑΕ Fraternity at University of Virginia - UVA 2.5 The truth Nov 15, 2017 2:44:10 AM Freshman think its good because it's SAE only to find out that it's super average. Pretty sure the brothers think it's good...but again, it's super average at best. Heard it use to be dope tho. Freshman think its good because it's SAE only to find out that it's super average. Pretty sure the brothers think it's good...but again, it's super average at best. Heard it use to be dope tho. Sigma Alpha Epsilon - ΣΑΕ Fraternity at University of Virginia - UVA 2.4 easynow Jul 20, 2017 5:27:28 PM Guys who didn't get their first choice in rush and those guys too scared to really pledge. Guys who didn't get their first choice in rush and those guys too scared to really pledge. Sigma Alpha Epsilon - ΣΑΕ Fraternity at University of Virginia - UVA 1.8 boyz Mar 26, 2017 8:29:33 PM Either chubby or awkwardly skinny, below-average looking guy from an upper middle class neighborhood/private school. Wasn't popular in HS. Doesn't really hang out with his frat except for the guys who went to his high school. Big try hard. Dresses and acts country but is obviously faking it. Initially comes across a gentleman but turns into a huge prick when you get to know him. Boring guy all-in-all who is friend zoned by a top tier sorority girl that went to his HS or dating a GDI. Either chubby or awkwardly skinny, below-average looking guy from an upper middle class neighborhood/private school. Wasn't popular in HS. Doesn't really hang out with his frat except for the guys who went to his high school. Big try hard. Dresses and acts country but is obviously faking it. Initially comes across a gentleman but turns into a huge prick when you get to know him. Boring guy all-in-all who is friend zoned by a top tier sorority girl that went to his HS or dating a GDI.